Ok. Sometimes I find myself behind the design 8 ball, and behind the latest and greatest. This year, I am allowed to blame it on my thesis. 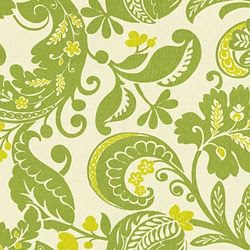 Am I the last person to know that the line of fabrics by Iman on Calico Corners it absolutely fabulous? The woman is gorgeous, and so is her taste in patterns and colors. Each fabric has an exotic flair … not unlike Iman herself. This is Java Moon in Luna. Love it. 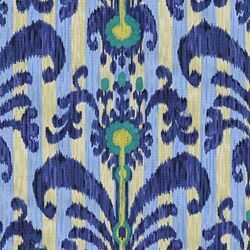 The colors are fantastic, and I love the stripes that act as a background for an ikat-type print. $42.39/yard. Alexandria Scroll in Citrine. How fun is this? A little mod, a little traditional. The perfect blend. I’m thinking about it for the seat cushion of a faux bamboo cane back chair seen here. What do you think? $19.99/yard. 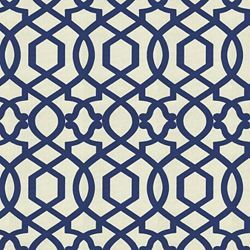 Sultana Lattice in Luna. This looks almost exactly like Kelly Wearstler Imperial Trellis. And its $27.99 a yard. What a find. Can’t go wrong with this fabric. I would love to do a footstool in this as an accent piece. Zahra Leaf in Radicchio. 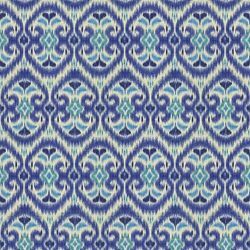 Again, somehow this fabric blends a mod with an exotic and a little bit of traditional. This fabric could look fantastically bold on a settee. It is a great alternative to zebra! $26.39/yard. This is my absolute favorite. Alhambra Amour in Luna and in Mineral. 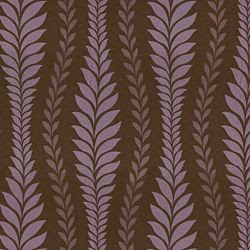 I don’t know why, but I just absolutely love this fabric. The luna color is fantastic, and the mineral is tres chic! I need to find somewhere to use it. Perhaps a chair? Perhaps upholstered walls? I love it! $23.19/yard! What do you think? Just found your blog through peak of chic. 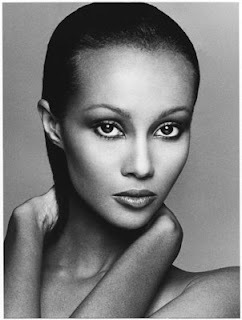 I love the first Iman fabric. Thanks for the tip!! Liz- thanks for checking in! Be sure to become a follower so I can let you know about more cheap and chic finds! 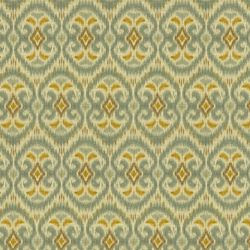 I’m thinking of the fabric on a chair but also as an inset on picture frame molding below a chair rail. Just a thought…. Love the Alexandria Scroll and Sultana Latice.